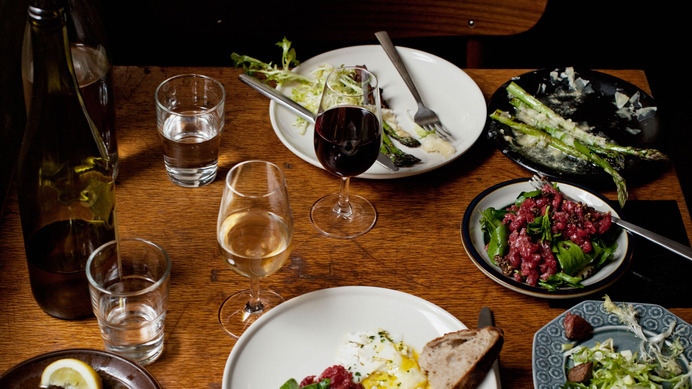 Manfreds & Vin is a wine bar with a focus on intimacy and sharing. The food is made from high quality ingredients. Biodynamic vegetables from Kiselgården, roots from Lammefjorden, pig from Grambogaard, lamb from Havregaard and herbs from the forest. The wine bar offers a large selection of natural wines, which are either organic or biodynamic. If you want to have a different wine experience you should check out this wine bar. Let other people know what it is you like about Manfreds & Vin and why it is an ethical company worthy of checking out. Or flag a concern, if you have any.